It is possible to improve on perfection! 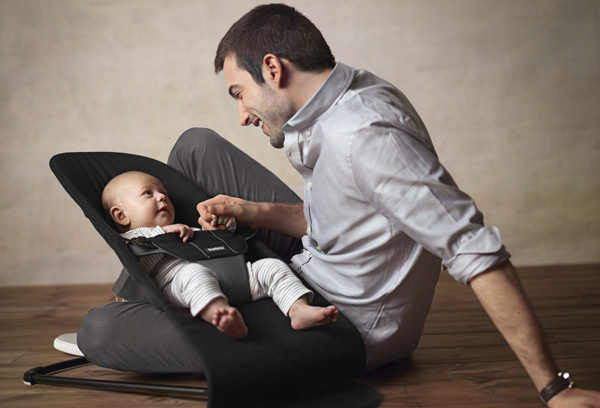 It was way back in 1961 when BabyBjorn first produced their baby bouncer and now, 2013 sees the launch of a gorgeous updated look of the popular classic! Softer and curvier than ever before, BabyBjorn’s Bouncer Balance Soft is now also cosier thanks to its ergonomically shaped seat and padded adjustable safety harness. BabyBjorn bouncers have always been fabulous for allowing baby to sit safely and play or rest comfortably in while parents get things done. 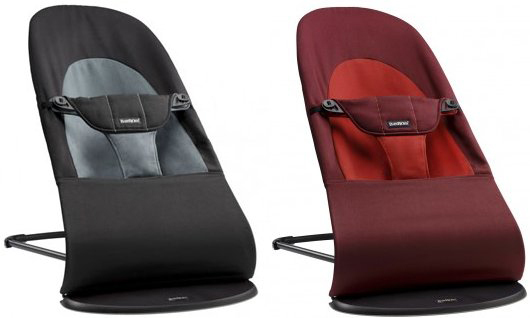 Bouncer Balance Soft has three positions – sleep, eat and play – and can be folded flat for easy transportation and storage. Baby’s own movement makes the bouncer rock, which usually comes as a great delight! BabyBjorn Bouncer Balance Soft is available in a red and orange combination as well as black and dark grey. Even better is this cotton fabric can be easily removed and machine washed in the event a drink is spilled or a rusk becomes mashed. Bouncer Balance Soft is priced $229.95 from Baby Village.